WASHINGTON — Satellogic, a company developing a constellation of satellites designed to provide high-resolution and hyperspectral imagery, has raised $27 million to continue that effort in a round led by a Chinese company. Satellogic, a company with operations in several countries, announced its Series B funding round June 23, led by Tencent, a Chinese investment holding company that is one of the largest in the world. Also participating in the round were a Brazilian venture capital fund, Pitanga, and San Francisco-based CrunchFund, among other investors. In a June 26 interview, Emiliano Kargieman, founder and chief executive of Satellogic, said that the Series B fund will be used to scale up the company. “We’re mainly going to be using this to scale the satellites in our constellation and build up our commercial team as we start to go to market,” he said. Satellogic has been building small satellites that carry both a high-resolution camera capable of taking images with a resolution of one meter as well as a hyperspectral instrument with a resolution of 30 meters. The hyperspectral instrument can identify the chemical composition of what it observes, with applications for agriculture, environmental and related uses. The company launched its third high-resolution satellite June 15 as a secondary payload on a Long March 4B rocket from the Jiuquan Satellite Launch Center in China. Two more are scheduled for launch in August, Kargieman said, followed by 12 to 18 in 2018. “We’re growing this to a constellation of over 60 satellites by 2019,” he said, with a long-term goal of 300 satellites by early next decade. Satellogic’s use of Chinese launch vehicles does create some complications for export control, given U.S. restrictions on the exports of satellites and related components to China. “It requires that we have a very tight control over our supply chain,” he said, to ensure compliance with those regulations. The company currently has 90 employees distributed across offices in North and South America, Europe and the Middle East. That includes satellite research and development work in Argentina and software development in Tel Aviv. Kargieman said he estimated the company’s headcount would grow by 50 to 70 percent in the next year as it deploys more satellites and starts delivering data to customers. 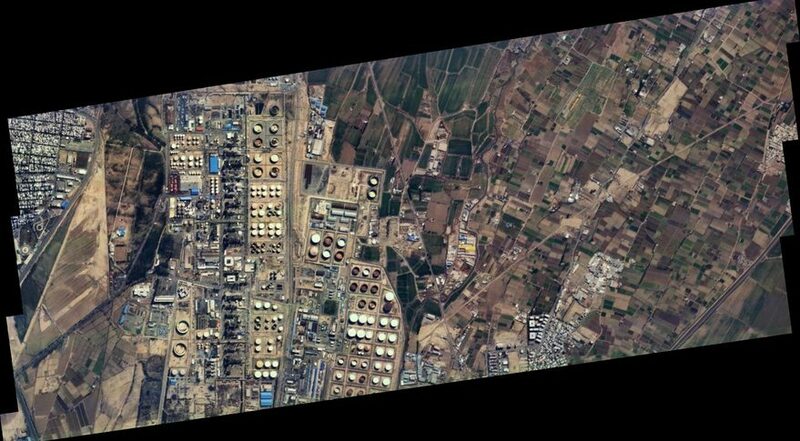 Satellogic is working with prospective customers in several industries to demonstrate how hyperspectral imagery can be used, including how it can be combined with high-resolution images and other data sets. Kargieman emphasized providing customers not with raw images but with data products derived from that imagery. “Basically, we can attack the mass of information with machine learning techniques, deep learning, basically data science, to figure out how to extract the most value for our customers in each particular industry,” he said. Besides access to hyperspectral imagery, Kargieman argued that the company’s cost efficiency, which he attributed to unspecified technological advantages it has, will give it a competitive edge in a crowded Earth observation market and also grow demand for the information it can provide.